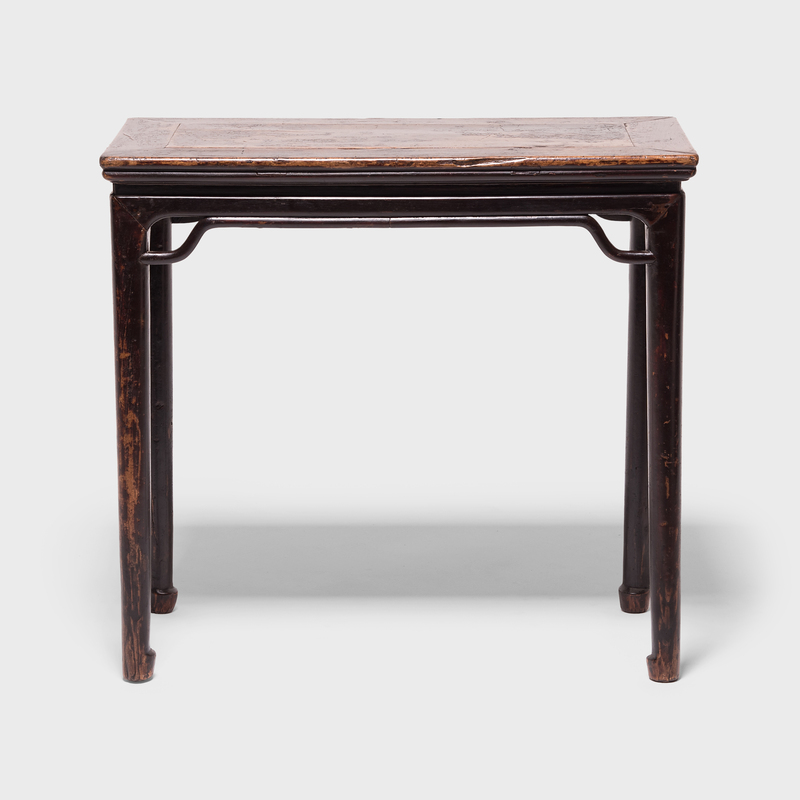 W: 97.5" D: 15.0" H: 35.5"
This 18th-century walnut table from southern China was hand-carved to mimic round stalks of bamboo, with carefully articulated growth rings. 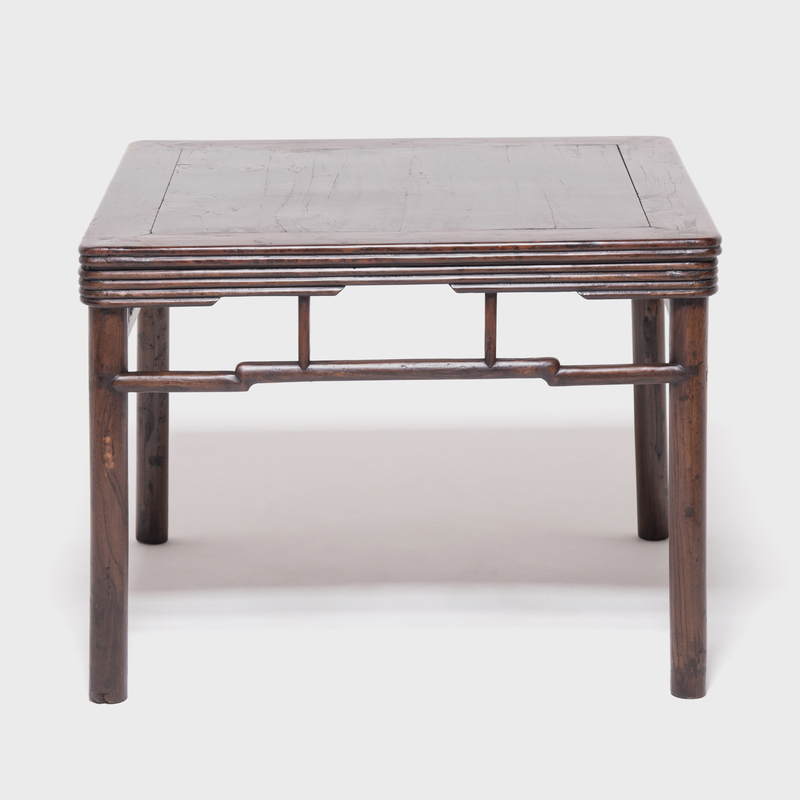 Bamboo was a favored motif in late-Qing furniture, as it expressed humility for past construction methods and upheld Taoist values of naturalism. 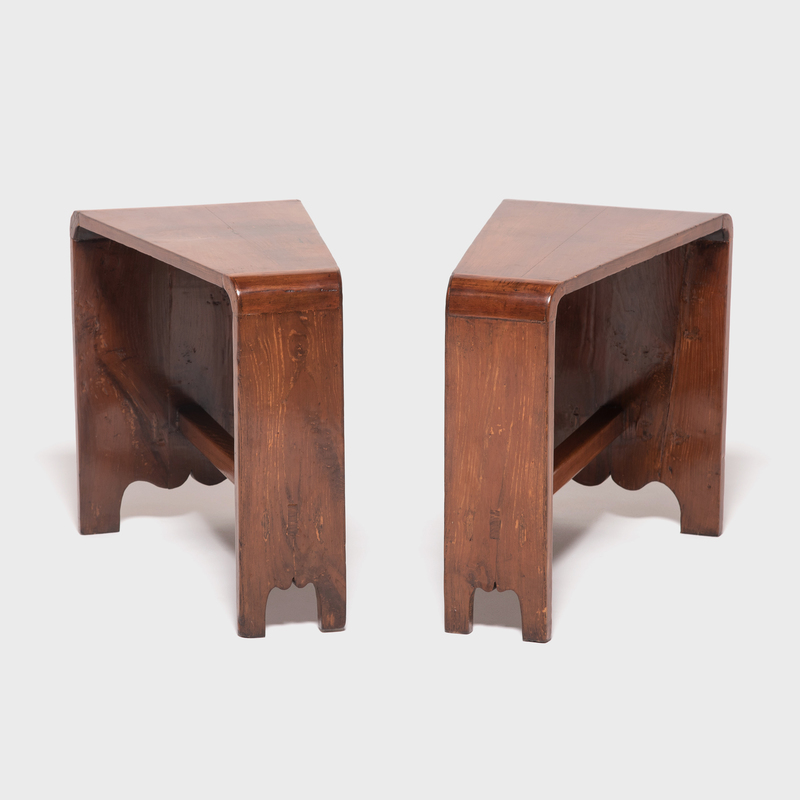 The stretchers are ingeniously designed with mortise and tenon joinery to meet the legs in such a way as to appear as to wrap around like a strip of bamboo. 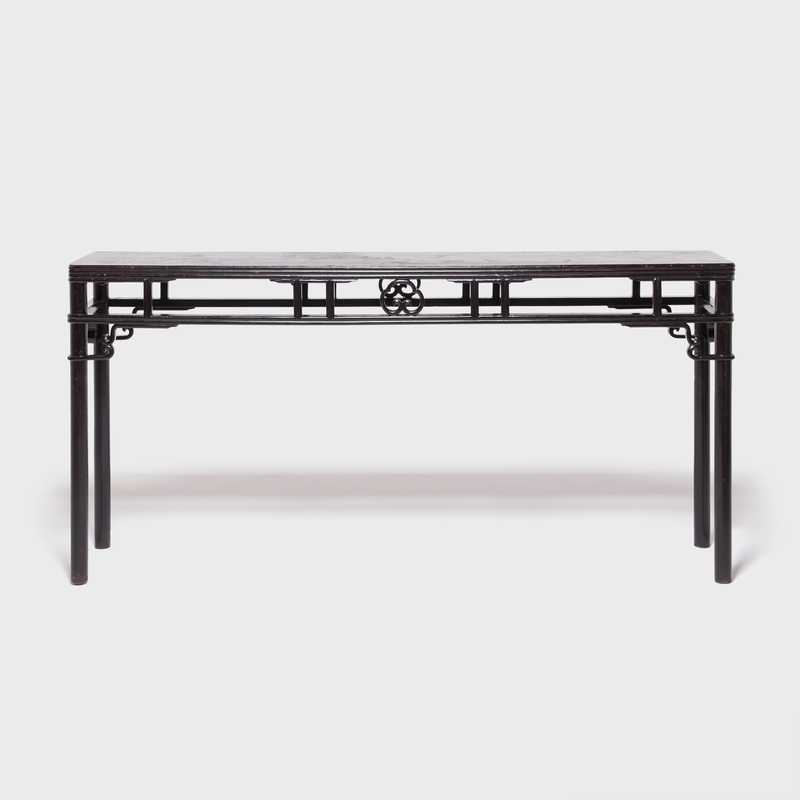 This console is an elegant and quietly ornate table with fluid round corners, inset petite quadrilobe lattice panels between side stretchers, and a lacquered top that has aged beautifully. 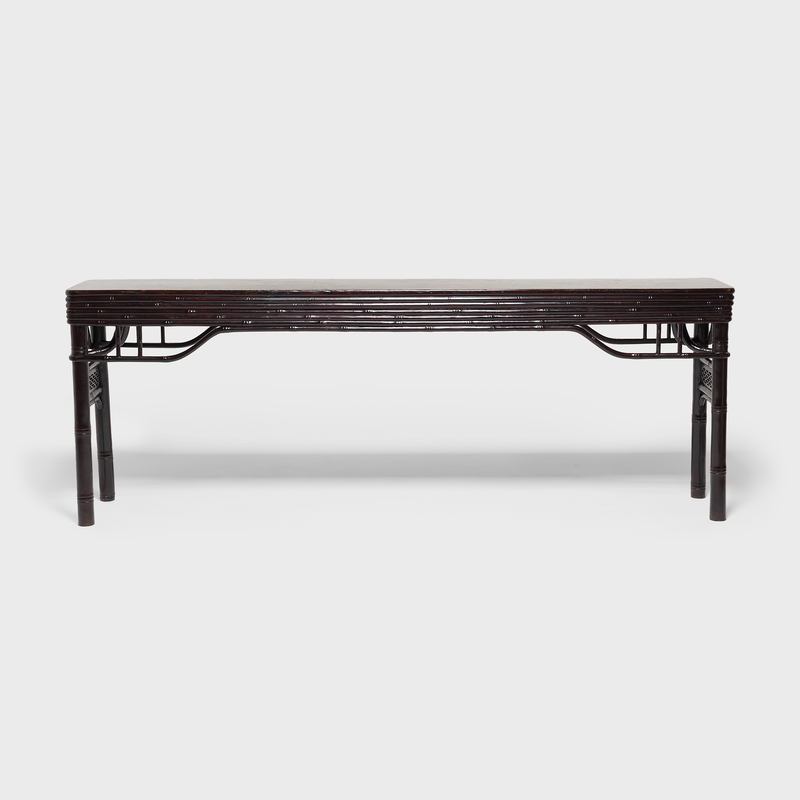 Table Apron to Floor: 25"